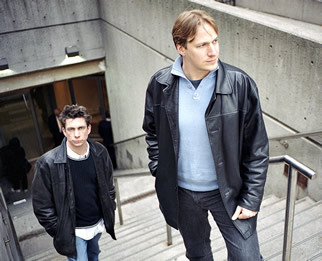 Led by co-founders Rob DeBoer and Tony Grace, Toronto-based Four80East makes their highly anticipated return to the Exodus To Jazz series. With an infectious heavy-groove sound characterized by distinctive melodies, the group continues to be a very popular international phenomenon. In addition to garnering a Smooth Jazz Awards nomination – “Best International Group” – the group was honored by being invited to perform at the Smooth Jazz Awards ceremony in October 2010. The 480East sound lies within what is known as "nu jazz" movement—taking the best of contemporary jazz and pop styles and aligning them to produce a improvisational dance-infused sound. Toronto-based 480 East draws from a variety of sources, including found sounds, field recordings and sound effects. Tickets: $20 to $30; Students, $10 with ID (minimal processing fee is additional). Tickets are available at all Wegmans stores, online at BrownPaperTickets.com and at the door the night of the concert, beginning 7:00pm. Jazz Around Town: Even the hot jazz around ROC won't melt 100+ inches of snow! Continuing my post titles' obsession with the weather and snow. I don't know about you, but I'm ready for this winter sh*t to be over! Not much to add tonight. 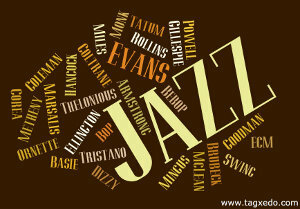 Busy, busy, busy...but still time to get these live jazz listings out for the next seven days. Foundation of the Monroe County Bar 1st Jazz For Justice fundraiser @ Harro East, Friday, April 1, 6:00 to 10:00 pm. The image in my last post is actually how I think about turning 50, but my body today is reminding me of the half century I've walked the planet. The image at right was from the great concert given by Grammy nominee Gerald Clayton and his Trio last Sunday for the Exodus to Jazz series. It was a special night of music. Here are the listings for the next seven days of jazz in Rochester. Hope you can find some time to get out and support live jazz here in the ROC! Foundation of the Monroe County Bar 1st Jazz For Justice fundraiser @ Harro East, Friday, April 1, 6:00 to 10:00 pm (more info later). The day before the Grammy's are announced, Gerald Clayton, 2 nominations this year, is on the Exodus to Jazz stage with his Trio in Rochester. The envelope from AARP arrived in the mail last week with the customary offer of membership and a temporary card upon one's hitting the big 5-0 next Wednesday. Yes, one-half a century. Geez!! Well, moving on, there's a lot going over the coming 7 days, hope you can get out to hear some! I just don't feel up to hearing the strains of Happy Birthday to You ... unless perhaps done in the bossa nova style? Annual Gala, “Jazz at the J” with Featuring Bob Sneider Quartet with Special Guest John Nugent (Other acts include Katie Ernst, Latin Jazz with Tony Padilla, Paul Smoker and the Nazareth Faculty Jazz Group, and Loose Change (Nazareth College Jazz Combo) @ Jewish Community Center, 7:30pm. 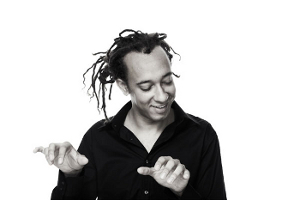 Grammy nominee Gerald Clayton comes to Rochester to play a concert in the Exodus to Jazz series with his Trio of bassist Joe Sanders and drummer Justin Brown. The Trio will take the stage at 8:00 pm on February 12th at ETJ's new digs, the Reformation Lutheran Church on Chestnut in downtown Rochester, one of the great venues during the Xerox Rochester International Jazz Festival. Born in the Netherlands in 1984, Clayton grew up mostly in Los Angeles in a family of musicians including his father, bassist/composer John Clayton, and uncle, saxophonist Jeff Clayton. As professional jazz musician, he has performed with some of the most established names in Jazz such as Lewis Nash, Al Foster, Terrell Stafford and Clark Terry, including duo piano concerts with artists as diverse as Hank Jones, Benny Green, Kenny Barron, Mulgrew Miller and Tamir Hendelman (who just happened to play the ETJ stage last month). He has also played with a number of the next generation of jazz innovators such as Ambrose Akinmusire, Dayna Stephens, and Kendrick Scott. 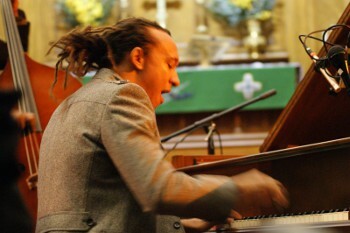 From 2006-2008, Clayton toured extensively with Roy Hargrove in his quintet, big band, and funk groups and is currently a member of the Clayton Brothers Quintet. Clayton has been nominated for a Grammy for Best Instrumental Composition for his composition Battle Circle from the "New Song and Dance" album that he recently did with the Clayton Brothers, which itself has been nominated for Best Jazz Instrumental Album. The concert will start at 8:00 PM with two one-hour sets. Doors open at 7:00 pm. Ticket prices are Reserved table: $30; Reserved Theatre seats: $25; General Admission theatre seats: $20. Get more information and updates on the Exodus To Jazz website (while you're there, sign up for his posts from the site and to be added to his updates list. You can also head over to Clayton's site where some of his music may be streamed or download a track from Jose's post providing some details about the artist. Jazz@Rochester is one of the sponsors of the Exodus to Jazz series. Hope to see you out and hear these great sounds in this wonderful space. In addition to the jazz in and around Rochester, please check out Jazz 90.1's Black History Month Celebration featuring African-American artist each day. 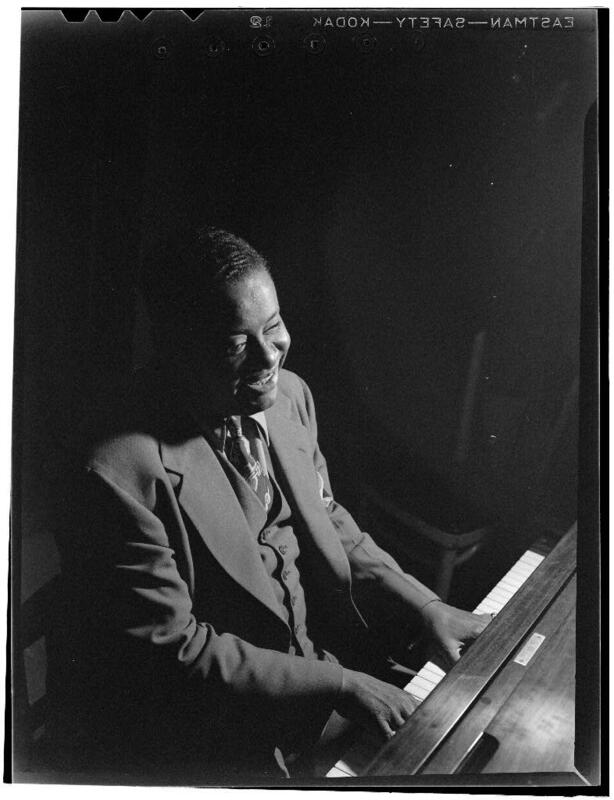 Art Tatum (shown on the right in Rochester circa 1946...notice the film signature? So fitting....) is featured on February 23rd.